Ah, yes. 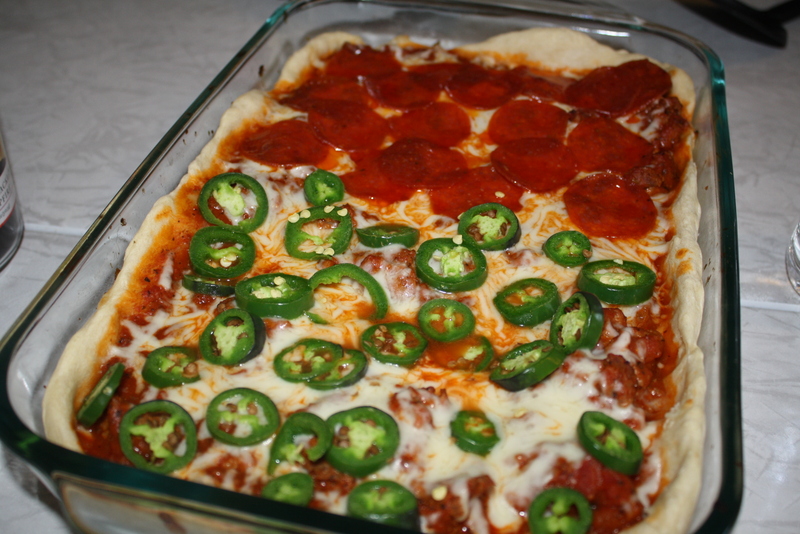 Another delicious pizza recipe. 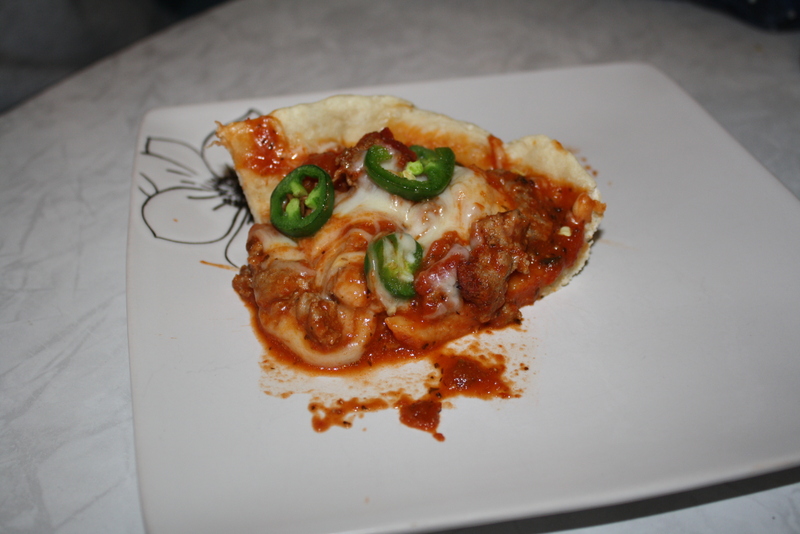 This one is made like a casserole for an interesting twist. I don’t know if Zack and I like pizza because we’re young, if it’s a phase that we will grow out of, or if it’s just because it is SO good. Regardless, I am going to keep making it as often as possible in as many different ways as possible. We are that addicted. This pizza was pretty good. It was a nice change from the standard pizza, but it isn’t going to become our go-to pizza recipe. It’s easy to make and not really that time consuming – a great weeknight dinner. This makes A LOT of pizza. I bet Zack and I didn’t even eat 1/4 of it. The crust is so thick that you get full really quick, so if it’s just you one or two other people, I’d probably recommend cutting the recipe in half (unless you really like leftovers!). My granny grew those jalapenos in her garden. Homegrown produce is the best. Knowing that it isn’t covered in pesticides or sprayed with chemicals to make it stay fresh longer makes it taste so much better. Here’s Zack’s pepperoni-clad piece. This pizza was really messy. It immediately fell apart when we took it out of the dish (by fell apart, I mean all the toppings slid off!). Oops. We just slid it all back on there and ta-da, good as new. My delicious jalapeno-topped piece. I am so hooked on jalapenos lately. I’ve been putting them on almost everything. Cook meat over medium-high heat until browned, stirring until it crumbles. Drain. Add tomato sauce and cook until heated. Coat 9×13 inch baking dish with cooking spray. Unroll pizza crust dough. Press in bottom and halfway up sides of baking dish. Top with meat mixture. Bake uncovered at 425 degrees for 12 minutes. Top with cheese and toppings and bake 5 more minutes until golden brown and cheese melts. Looks really good. I always need something different for easy weeknight meals. This is just oozing with goodness! Yum! 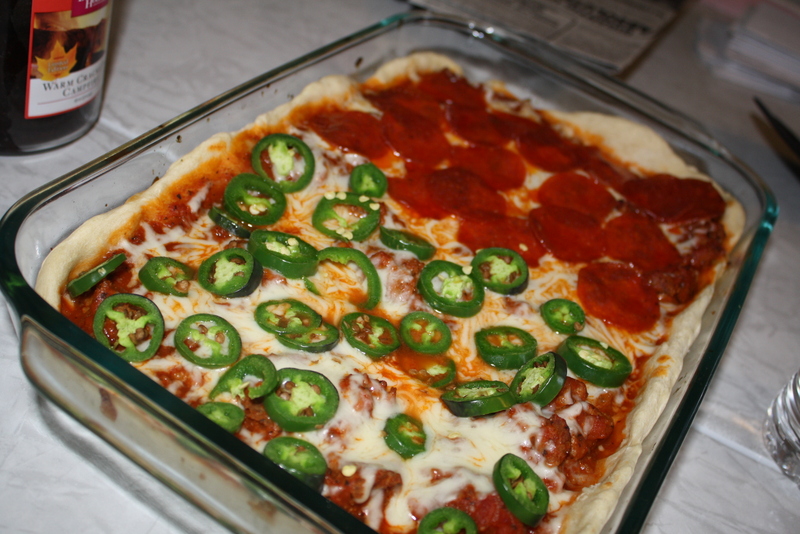 Never would have thought about making a pizza casserole! It looks so yummy! Oh I am totally with you and the jalapeno addiction; they add a little delightful kick to everything. And I hope we never grow out of pizza love – it’s the perfect dinner! This looks great! And nope, you’ll never grow out of the pizza addiction… I’m 47 and still haven’t hehe. I am a pizza fanatic too…I love everything about pizza. I must admit I am more of a thin-crust-crunchy-to-the-bite-pizza lover. 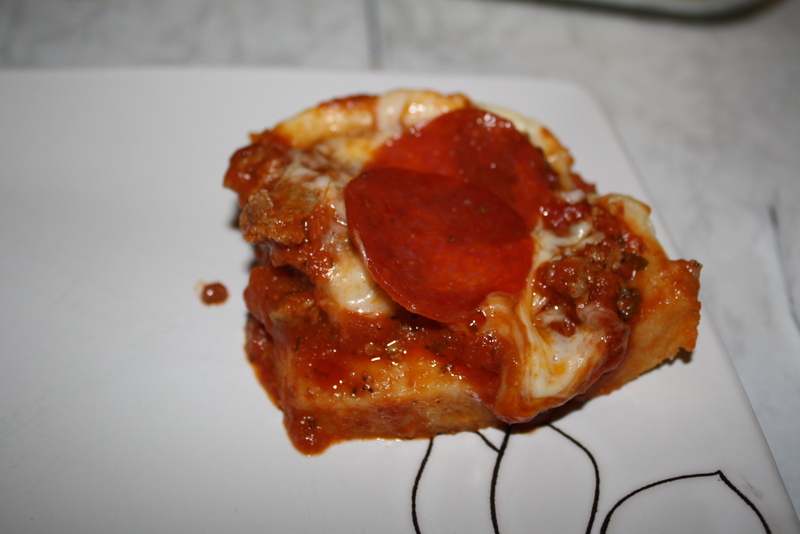 I love overflowing sauce too, so I guess I am in the mood for your deep dish pizza caserole version. This is so cool! I want to someday have an herb garden, or a small spice garden. Condo living doesn’t allow it, so I just have to push that dream aside when I get to have a backyard in the country…someday. For now, I’ll just settle for grocery-bought ingredients for this pizza dish. The good news is they taste great too! Thanks for the post!